The Turkish Endodontic Journal (TEJ) is the official journal of Turkish Endodontic Society published on the basis of independent and double-blind peer-review. The authors are invited to submit scientific articles, case reports, invited articles and comparison studies evaluating materials and methods of pulp conservation, endodontic treatment and dental materials. Endodontists and general dentists can learn about the recent concepts, trends, cutting edges and the latest advances in endodontic treatment in this journal and keep themselves update with rapid changes in this field. 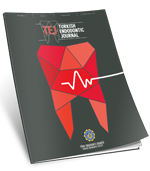 TEJ (Turkish Endodontic Journal) is owned by Turkish Endodontic Society and published twice each year in January, and June. 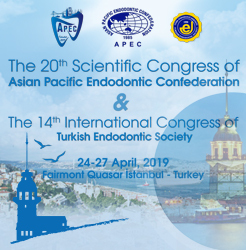 Conferences and abstracts presented in the biennial International Congress of the Turkish Endodontic Society are also published as a special issue.